Hello everyone! Fashion fashion I love fashion especially the feminine and I know approximately every women loves fashion that is the reason we are always here to update you with every kind of fashion regarding clothing, make up, shoes, accessories and the rest essentials of being stylish. Well, as previously we were talking mostly about eastern fashions then how can we forget the anarkali dresses which are conventionally being wore by asian women where by the time variations in trends and styles came across. 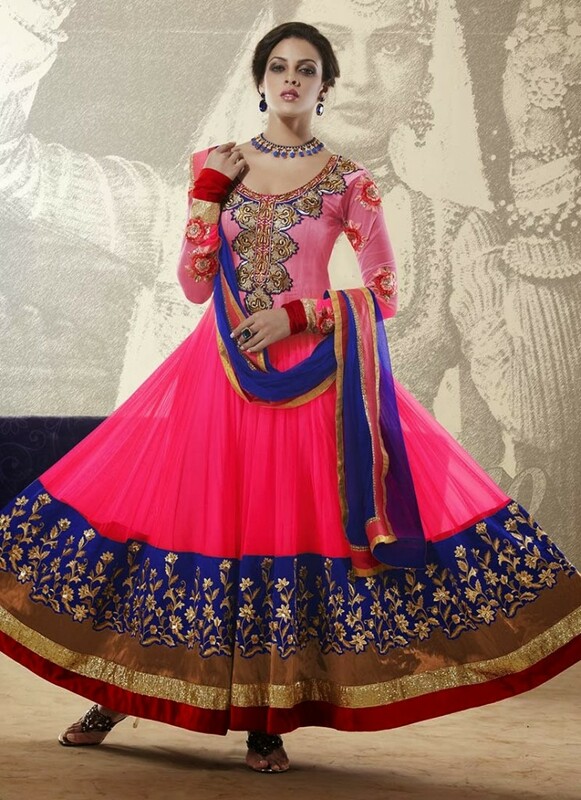 Initially Anarkali dresses were being wore by the queens and princesses there in sub-continent but then the trend was adopted by most women and till now the convention has been prevented in a very elegant way. In strange words one can call anarkali dress as ‘frocks” or ‘choori pajama long shirt dress’. The sunshade shirts usually fit and join the body & variably below. Due to the high demand of customers designers have been always providing with the trends amendments in anarkali dresses. The fabrics suitable for this dress is usually chiffon, silk, crinkle, net, organza etc. The designing on them may vary from choice to choice or one can say mind to mind. Use of net and jamawar is the most favourite among girls, where a jacket of jamawar can be designed for wearing above the frock. The latest collections are displaying the designs of anarkali long shirts and frocks having embroideries on neckline where the use of laces and patches is made on the back and bottom line of the dress. The bottom wear most suitable for anarkali dress is churidar pajama. 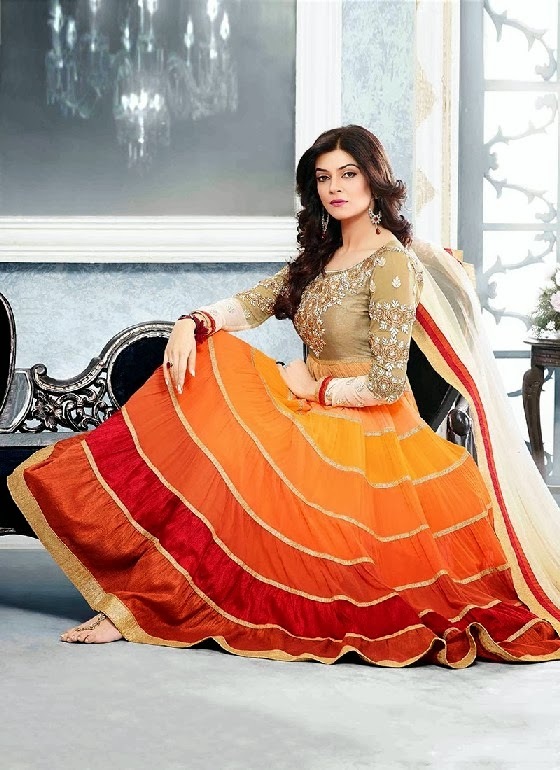 Designers these days are presenting anarkali dresses with cuts on the front side, a cut from the centre of the bottom growing upwards and then stopped at the best suited area where embroideries have been made all across the border lines, this line then reach the neckline which is embroidered or fill with the most prominent colours and designs. 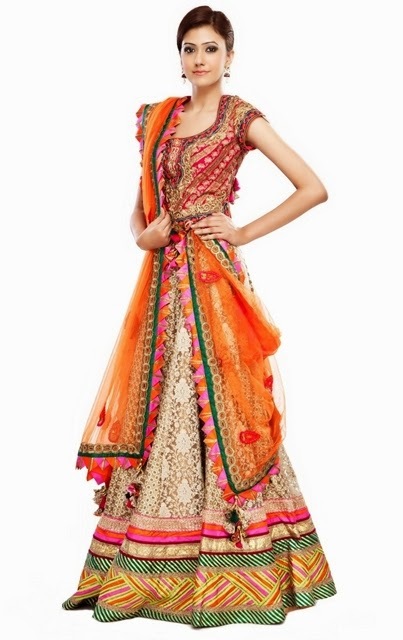 Sleeveless, short sleeves, and full chiffon sleeves, all are available in anarkali dresses. Usually chiffon or grip dupattas are used with anarkali dresses. This elegant and graceful dress looks amazing especially when you wear it on night party with suitable combination of colours and make over. As anarkali dresses are mostly wore by young girls so designers have put the combination of slightly brighter colours for girls such as purple, red, green, orange, violet etc. Not only a colour or two but these days a number of colours are used for designing having a single coloured base with multi coloured patches, laces, embroideries on the dress. The stuff includes chiffon, net, Crinkle, Georgette, Silk, Jamavar and fancy patties with motifts, stones, embroideries, zari, dabka work and crystals embedded on necklines and backs. For the bottom wears as we are talking about the latest trends then other then churidar pajamas, shararas and lehengas are so in trend and the material used for lehanga purpose is jamawar mostly. 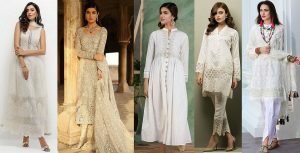 These days girls are wearing anarkali long shirt dresses on mehndi and wedding functions as it gives the best eastern as well as stunning look with perfect match of jewellery & styling with it. Here we go with few of the amazing creations by designers only for you, now no need of worrying for occasional wears when you can have such amazing choices. 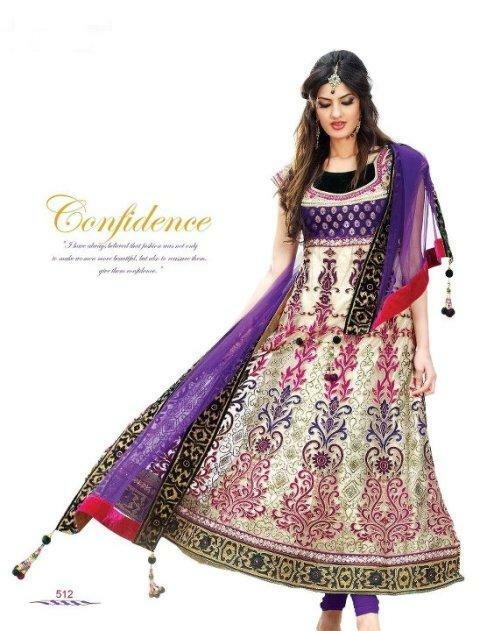 These are latest trends of Indian Fashion amazing collection of fancy and embroidered . Have a look on the beautiful image gallery posted below and get select your favorite piece for your formal wardrobe. Bring glamour to your events, occasions, parties, festivals and wedding with these stylish and trendy outfits with alluring patterns and designs.